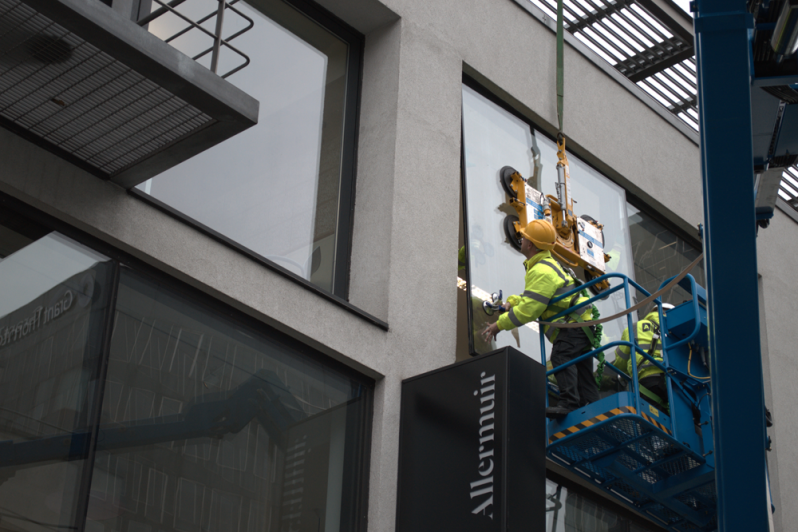 “Engineers from an AES specialist glazing team have successfully completed the re-glazing of an insulated glass unit (IGU), into a Schüco FW 50+ SG structural glazing system, at second floor level. 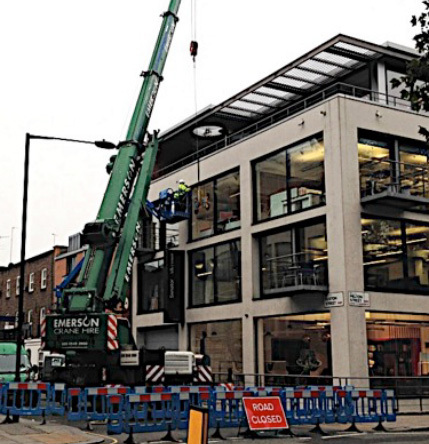 Following several weeks of meticulous planning, the project culminated in an early morning 5am start and the temporary closure of a busy central London street”. From first contact and initial telephone call to us it was imperative that we reacted fast. 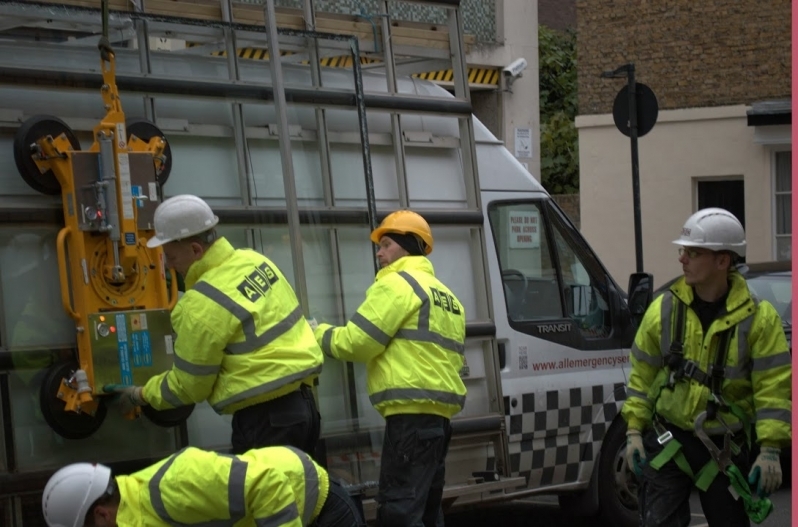 The broken glass was described as “high level” and a “dangerous structure”, with a report from site that the fire brigade had taped off the pavement below after receiving calls from worried local residents. 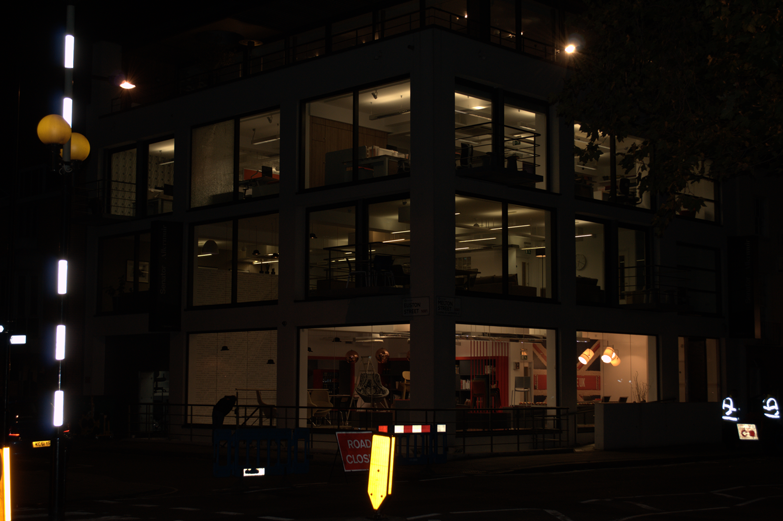 “The Public’s Safety was paramount, a temporary road closure was enforced”. 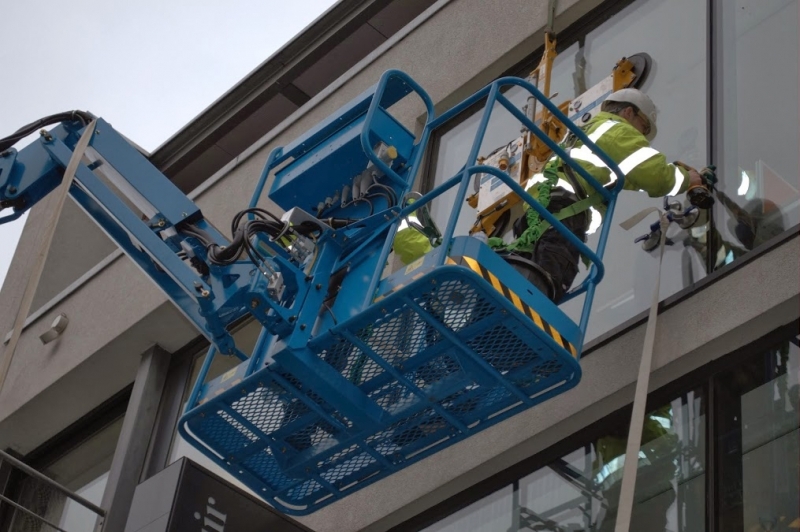 A reactive team working in the local area was immediately despatched and on arrival discovered that the outside pane of glass had been shattered, but remained precariously in position. 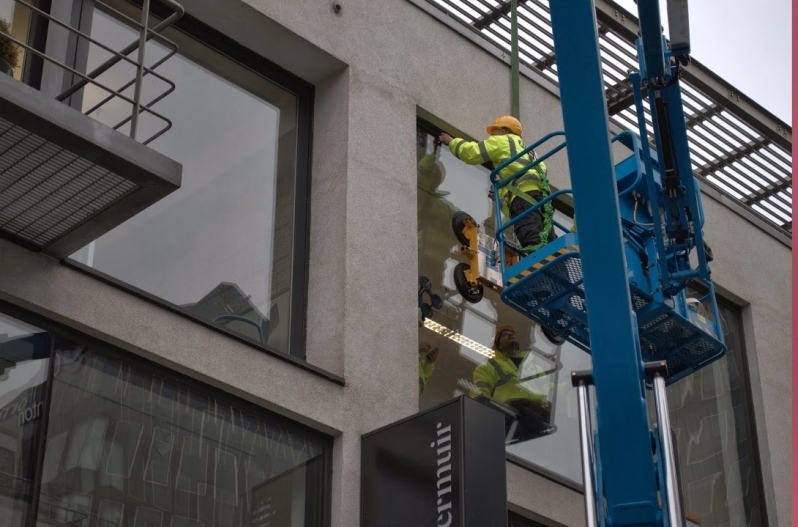 Once on site our team took full control of the situation, organising a ‘cherry picker’ and safely reaching the second floor to secure the shattered external pane. 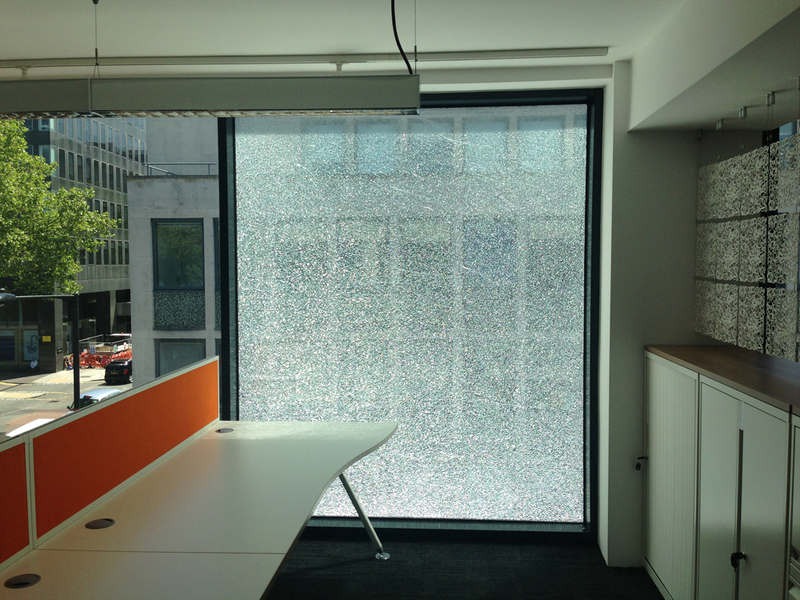 Once the damaged glass pane had been safely secured the detailed work of planning for the difficult reglazing began. 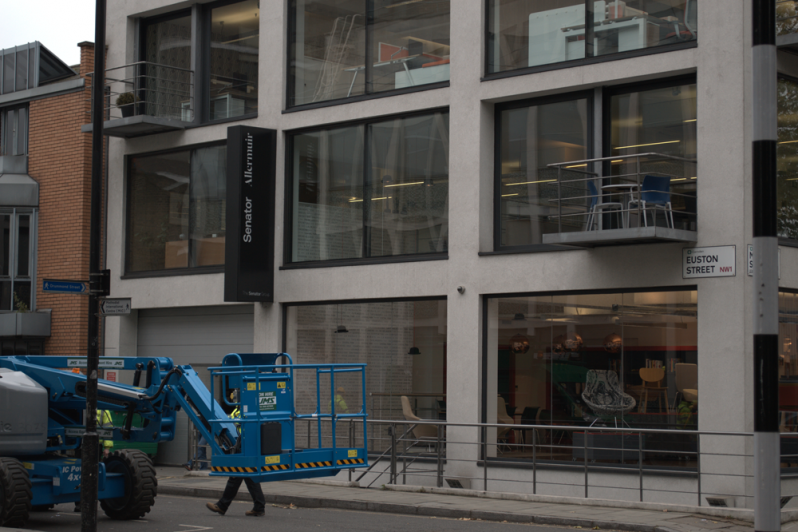 Having gained extensive knowledge in these types of high level work and having successfully carried out similar projects in the past, onsite meetings were held, detailed method statements and risk assessments were drawn up and a temporary road closure application was submitted to Camden Council for approval. Following such careful preparation it was just down to the weather to play it’s part on the day and, despite some windy weather earlier in November it did, delivering a calm, bright morning. 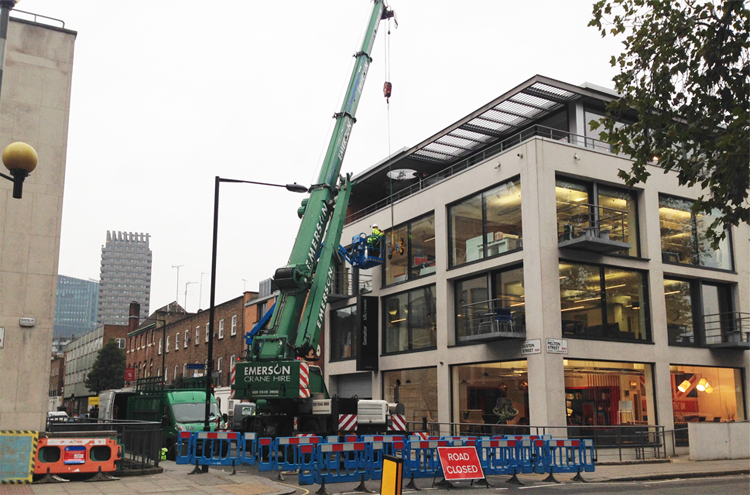 Perfect conditions for lifting a large, flat sided sheet of glass with a city crane. 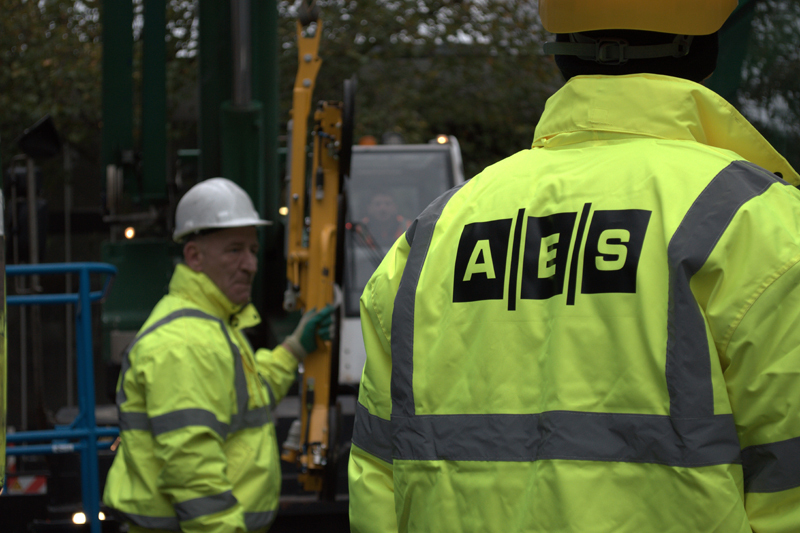 “It’s great to see this job passing off without a hitch, its where our training programme really makes the difference”.